Principal Investigator Erik Wambre, PhD, and colleagues used single-cell technology, tetramers, and other tools in collaboration with Virginia Mason physicians and their patients’ blood samples donated to the biorepository, to make a groundbreaking allergy discovery that will alter the course of allergy research. They identified a single type of immune cell that appears to drive all allergies. “This cell, which we named TH2A, could be a promising focal point for research to improve diagnosis, monitoring and treatment of allergies,” says Dr. Wambre. Additionally, these cells could be used as biomarkers, or indicators, that show whether a person has an allergy or is responding to allergy therapy. Dr. Wambre and his colleagues performed tests to confirm that TH2A cells play a pivotal role in at least six common allergies — including peanut, grass pollen, mold, cat dander, tree pollen and dust mites. “This means if you have an allergy you have TH2A cells in your blood,” he notes. “If you are not allergic, then you don’t. Our research also shows that effective allergy therapy eliminates these bad cells from the body. I’m hoping my research will now be able to identify a signature — a specific biological indicator — from a drop of blood that will predict the presence of an allergy long before the first symptoms are experienced. 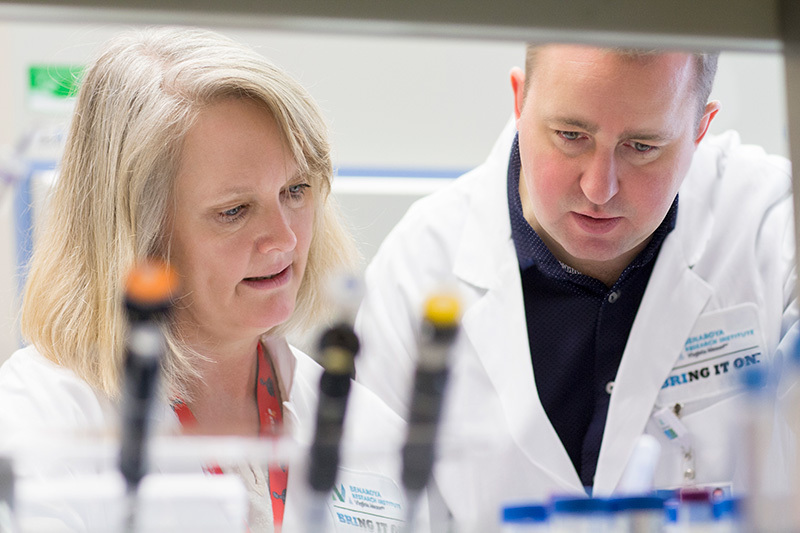 Mary Farrington, MD, a Virginia Mason allergist and clinical researcher helps BRI Principal Researcher Erik Wambre, PhD, make allergy research breakthroughs. 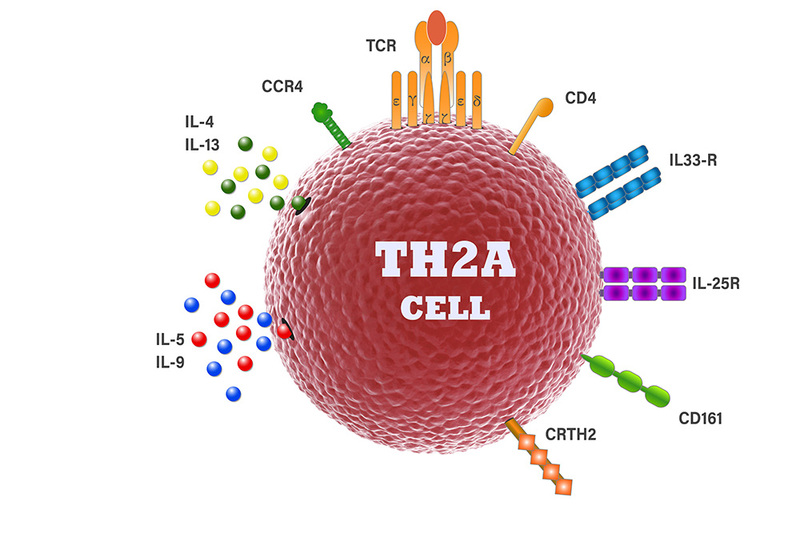 Erik Wambre, PhD, and colleagues discovered this single type of immune cell that appears to drive all allergies, TH2A.